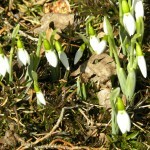 Very early in the new season, often before winter is over, a number of small spring flowers bloom, sometimes through the snow. Because of their small stature, these flowers are easily overlooked. 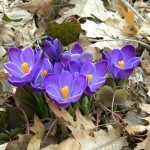 The trick is to use them in areas that can be seen up close at a time of year when most people don’t venture far into the garden. This could include beds close to the house which are visible from windows or beds bordering walks and patios. House entrances and paths from house to garage are also great spots . 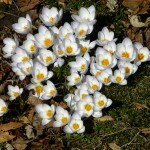 If you do plant near a walk or drive, try not to pile large amounts of snow over the dormant flowers – not because it will hurt them – but because late thaws will delay flowering. 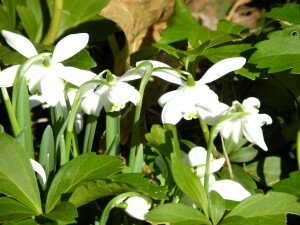 Snow Drops, Galanthus nivalis, are probably the earliest, in mild winters flowering in February in New Haven County, Connecticut. don’t remove the foliage until it ripens and yellows. That will ensure nourishment for next year’s flowers. After the foliage dies, the plant will go dormant until next winter/spring. 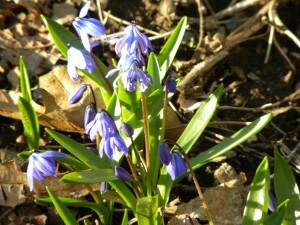 They perfer rich, moist soil in sun to part shade. 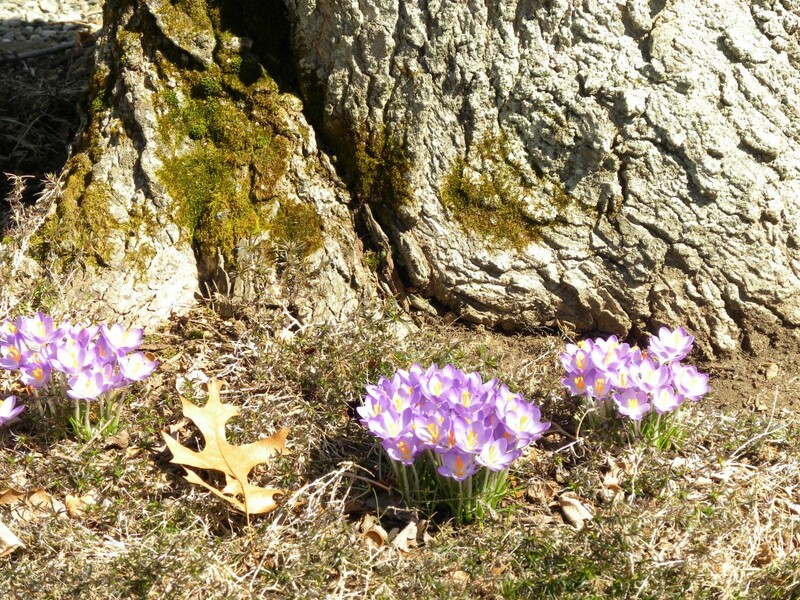 Planting in the shade of deciduous trees and shrubs is fine since these plants are leafless while the Snow Drops are actively growing. They have few if any pests which is a tremendous plus. 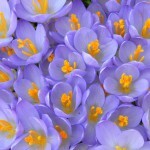 Crocus are another beautiful early spring flower. 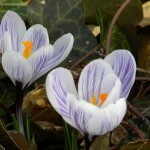 Again, there are a host of species and cultivars.Cultural conditions are the same as for Snowdrops with one important exception, mice, birds, squirrels, rabbits deer and various other animals eat both the flowers as well as the corms. That said, try them. They are beautiful and often make large colonies, something that could happen naturally over time if they are happy with their location. It’s also worth getting down on your knees and smelling the flowers. 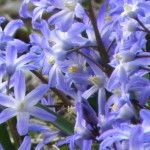 Siberian Squills, Scilla siberica with it’s brilliant blue flowers, is another great bulb with few if any pests, cultural conditions are similar to Snow Drops. They can naturalize forming large colonies which can work well in lawns and meadows but don’t apply herbicides! Also, you’ll need to postpone mowing until seed heads ripen or raise the cutting height. 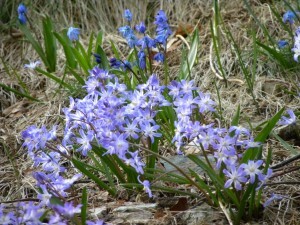 Glory of the Snow, Chionodoxa species, are similar to Siberian Squill with a lavender-blue flower. The two can be used together or in place of one another. Grape Hyacinth, Muscari species are still another bulb similar to Siberian Squills and Glory of the Snow but with a later bloom date. 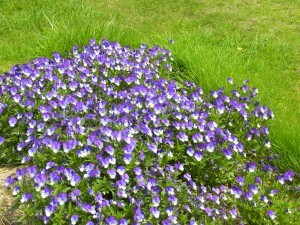 Add some to extend flowering. Cultural conditions are the same as the foregoing. 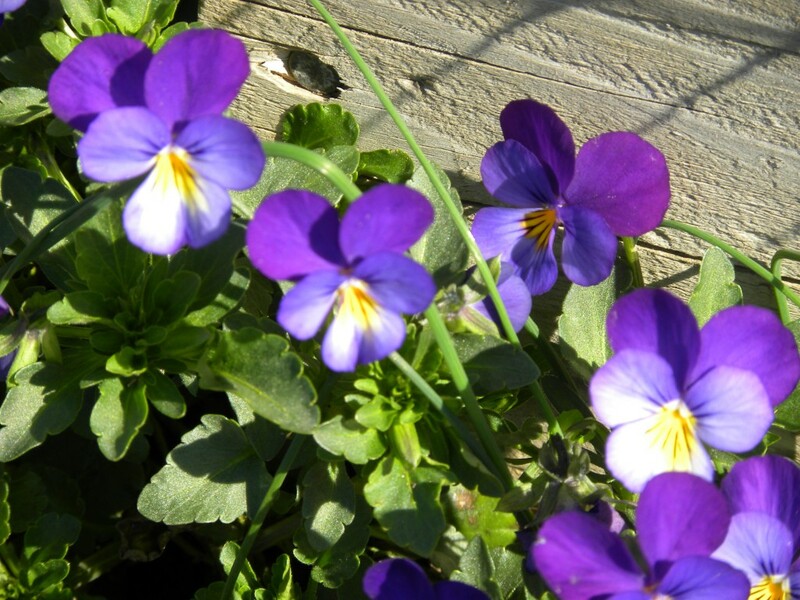 Violas are the one non-bulbous plant mentioned here. A biennial, they germinate in late summer, start flowering in fall and continue flowering sporadically throughout a mild winter. 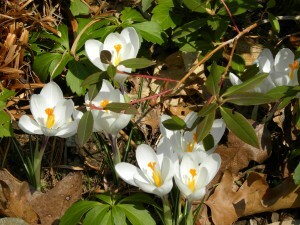 Strong growth resumes in spring and continues until warm weather causes the plants to stretch and flower size to decrease. They should be discarded at this point but will have left thousands of seeds in the soil to repeat the cycle again next fall. You will have to recognize the seedlings and not pull or kill them. 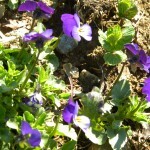 They prefer rich soil in sun to part shade and come in a variety of colors. 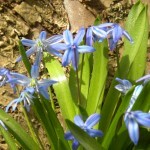 Plants and seed can be purchased in spring. All of the bulbs mentioned here are available in garden centers, through mail order catalogs or from internet sources late summer through early fall. 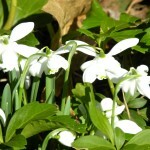 Finding flowers in the garden February through April is a pleasure well worth the small effort to acquire and plant them.